SWIXX.MULTICOOL.TI is a Storytelling Community Theatre project, awarded first place in the Pro Helvethia Call 2006. The topic of the project is multiculturalism and, in particular, the condition of the second generation born in Ticino from parents of mixed nationalities, and the condition of foreign women. The project was carried out in Switzerland and in the Canton of Ticino – a land of immigration, from Italy first and then from other countries. The immigration of the recent years has caused discrimination problems concerning the foreigners and their children. Things to know. Switzerland has a long-lasting tradition of multiculturalism for having been an asylum area for political refugees and a preferential destination for migrants. 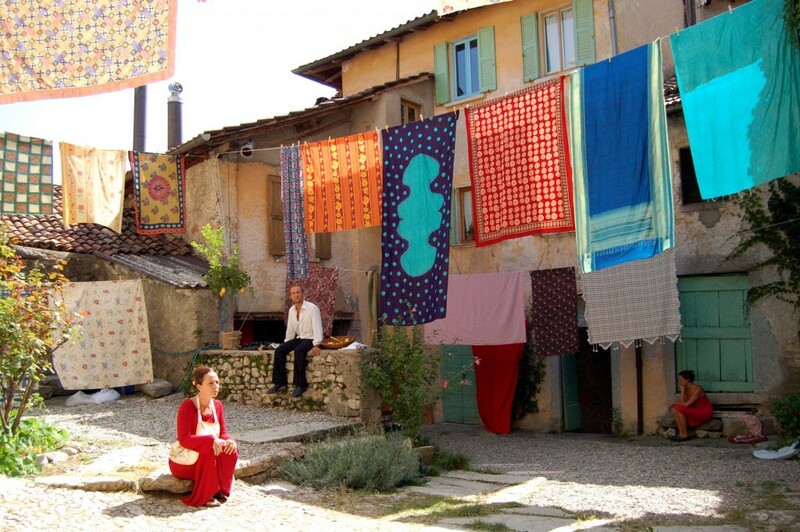 Cultural integration, thanks to mixed marriages – therefore multiculturalism – is a well-known and quite spread experience, also in small villages. New generations – born from couples made of Swiss people and foreigners – feel partly Swiss but they also feel the need for a special identity to be found through their roots. The performance and the target audience. 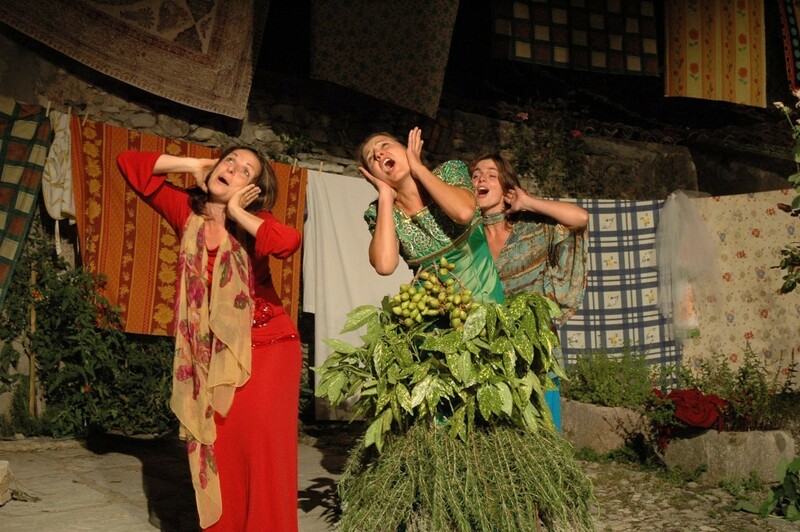 The project collected the life stories of 25 families from Ticino; subsequently, a performance was realised with 12 professional actors (some third-generation children and some young educators and actors in training). 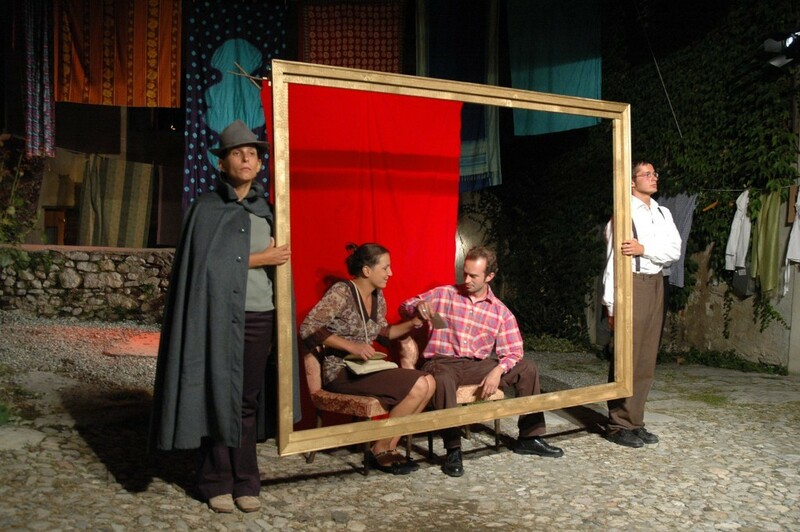 The performance was played at the Festival di Narrazione in Arzo (August 2006) and obtained great success with the public. After that, the FIMM (Forum per l’integrazione delle migranti e dei migranti – Forum for integration of female and male migrants) embraced the fundamental message of the performance and allowed it to be repeated during the Giornate dei Popoli (9-13 May 2007), inside the walls of the Castello Visconteo in Locarno. The Methodology and the Interview. The community storytelling work started meeting 25 people with “mixed” families from Ticino (in which one of the partners is from another culture). According to the methodology, there was first of all an interview (once or more times), then its theatrical elaboration, the composition of the script through the improvisation with actors and the staging of the script with the collaboration of some of the interviewees. The playwright and director Alessandra Rossi Ghiglione organised the interviews, together with the actress Antonella Enrietto. The theatrical interview was at the basis of the art and culture intervention of the project and required the creation of an intimate setting where the interviewee could feel at ease. The interviews were therefore carried out in the houses of the protagonists, with the fewest possible unfamiliar people. The interviewees were told about the object of the interview from the beginning, i.e. 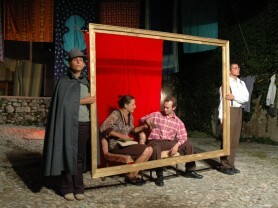 the staging of a performance on the topic of multiculturalism for the Festival di Narrazione in Arzo. The interviews were built on a draft touching the topics of children, food, the traditions which survived, the language spoken at home etc. but they developed autonomously, creating a collection of varied material. As far as community work is concerned, the most important themes in terms of dramaturgy were 1) the responsibility of approaching an intimate subject for the people involved, who would later be the spectators of their own stories; 2) the approach to such a hot topic as multiculturalism in Switzerland; 3) the creation of an open intervention to allow the active participation of the witnesses-storytellers. The construction of the dramaturgy and the staging. On the basis of the interviews, 3 periods of intensive meetings and theatrical construction were organised with the group of actors. The playwright created a pre-script on the basis of the interviews collected, starting with the recurring scenes and themes. The texts were developed and transformed depending on the expressivity of each actor. The preliminary phase included also the reading of the original interviews and the discussion with the actors on the related topics. The material of the interviews turned into theatrical scenes, songs, setups, physical actions, developing a dramaturgy of tableau with very fluid dramaturgical connections between one scene and the other. The staging area was conceived as split in three locations: the place of the performance, an area of passage and a garden. The team of artists had mixed origins: it was intentionally composed of actors from Ticino and Italy. Some third-generation children took part in the construction and staging of the performance as actors and witnesses. The Training in action. The group of actors included professionals, semi-professional and young people of the third generation. 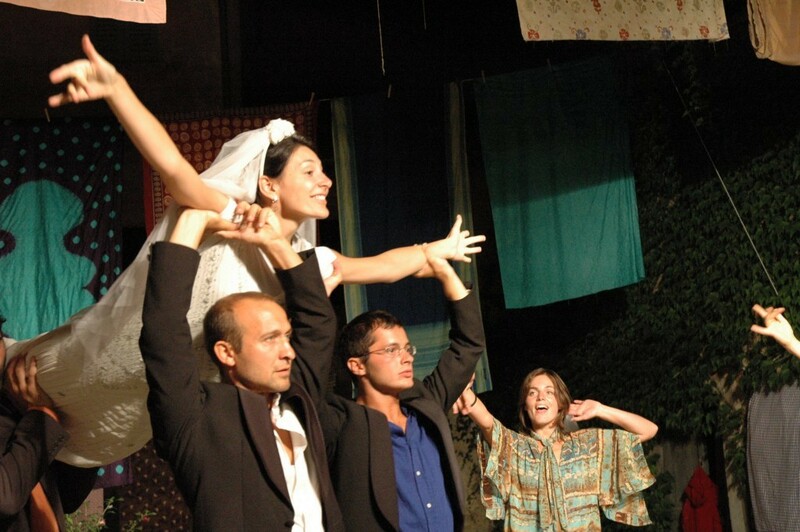 The realisation of the project was conceived in cooperation with the Master in Social and Community Theatre as training in action, where non-professionals work with professionals and are guided to be trained as professional actors but also as intercultural mediators and community workers. The participation of the protagonists. 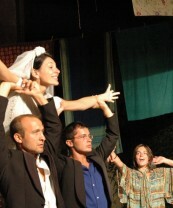 The protagonists of the storytelling were asked to participate in the event created with the performance. 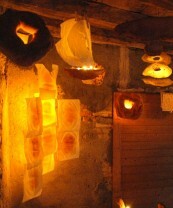 Part of the material used for the setup was provided by the families. For many, it was the first time that their personal story of migration became public. The families were asked to participate in the realisation of a multicultural party inserted at the end of the performance. The themes of that part of the performance were: “how important the food of one’s native country is to keep alive the past and the present” and “future expectations”. In this moment of the performance the families – since then spectators – offered their food and drinks to the audience and had a moment to chat to the guests. This moment was accompanied by an original song composed by Antonella Enrietto and Luciano Gallo and inspired by the stories regarding food told in the interviews. The song is titled “Bossanova Multi.coolti” and became the theme song of the project. The Setups. 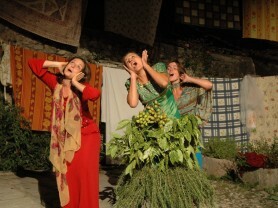 The staging of the performance took place in two gardens: an old private courtyard in the village of Arzo and the yard of the Castello Visconteo in Locarno. These places are outside the theatre tradition, but they are meaningful in terms of identity and history. Inspired by the stories told by the performance, the artist Maurizio Agostinetto, in connection with the director Alessandra Rossi Ghiglione, created a set design in connection with the gardens’ landscape and the materials and shapes available (stone, wood, soil, plants, flowers, bow passages, slopes, hidden green areas, etc. 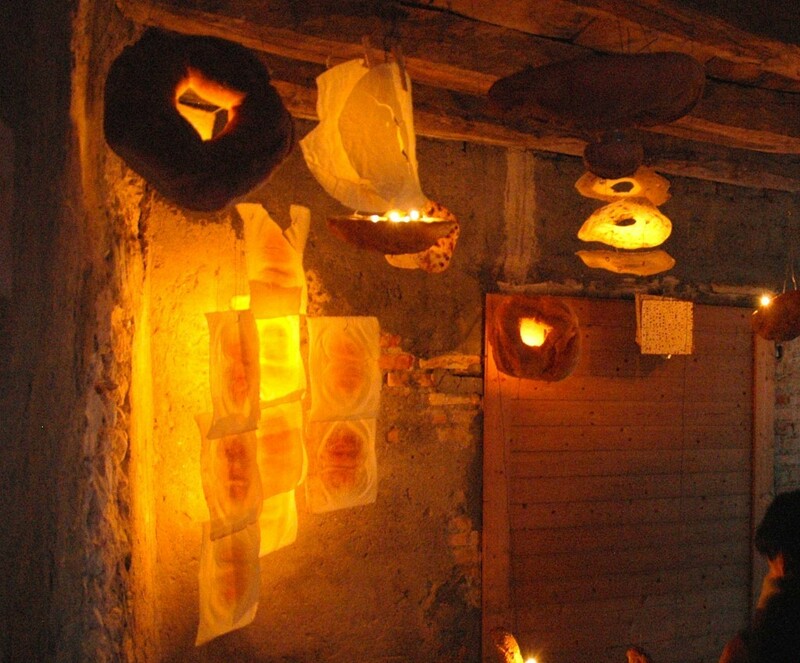 ): lanterns made with loaves of bread, water areas of wood and exotic cloths with floating petals in the Oriental style, installations with ethnic cloths, stage costumes made of leaves and branches weaved together, etc. Before and during the performance, the spectators were guided inside these “renewed” places which dialogued with the texts and the characters of the performance and created a magic atmosphere, evocative and very contemporary at the same time. Curiosity. After the debut, the courtyard in Arzo – Corte Solari – where the performance took place, was nicknamed, by the people involved in the festival, “Corte SWIXX”. Promoting institutions. The project was realised by Teatro Popolare Europeo and Festival Internazionale di Narrazione in Arzo, with the supervision of SCT Centre | Unito. Alessandra Rossi Ghiglione, Teatro Sociale e di comunità. Drammaturgia e messa in scena con i gruppi, Dino Audino, Roma, pages 29-38.
per l’Associazione tiKinò e il cabaret-kinò.